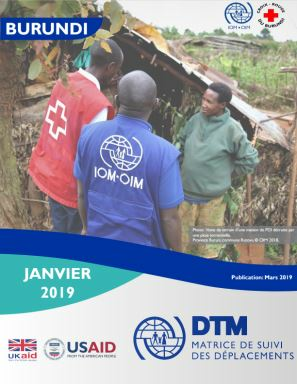 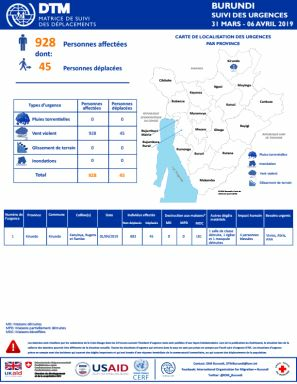 The DTM Burundi dashboard for the month of October 2018 covers all 18 provinces of Burundi. 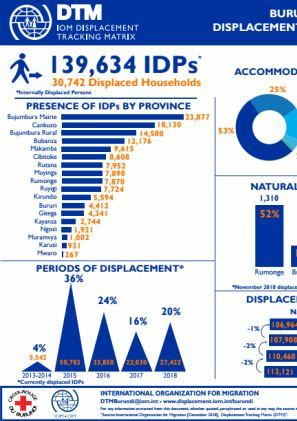 The DTM has identified 139,634 internally displaced persons (IDPs) amidst 30,742 households. 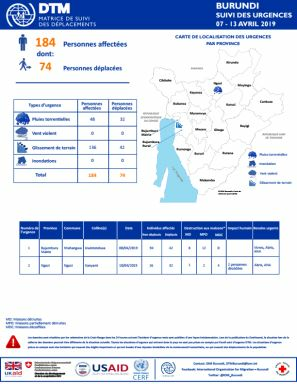 77% of IDPs (106,964) were displaced as a result of natural disasters and 23% of IDPs (31,908) were displaced as a result of sociopolitical issues.